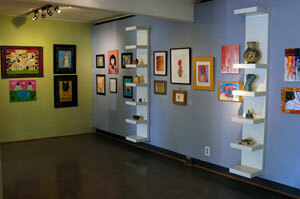 The Santa Cruz Mountains Art Center (SCMAC) showcases local artists throughout the year in our Thomas Gallery. The gallery hosts approximately six shows each year, including a guest show, youth show and one featuring holiday gift items. A reception for each show is held on a Friday evening, close to the shows opening date. The gallery is docented by many of the participating artists and volunteers. Thomas Gallery is free to the public.